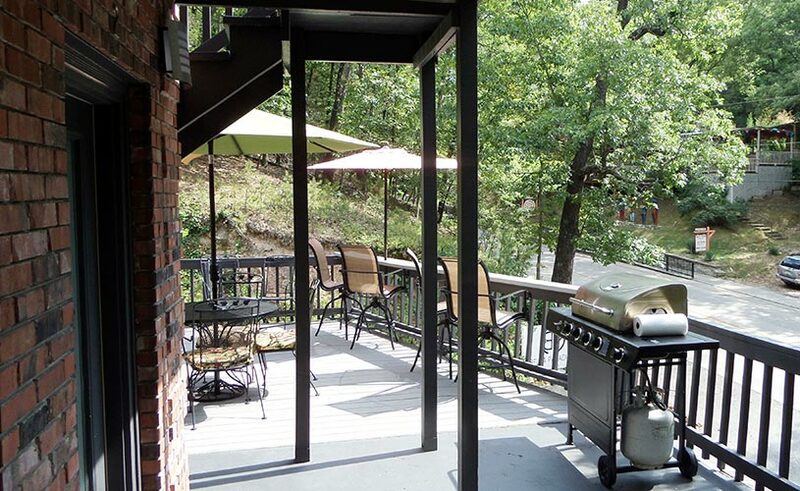 Bella Paradiso Vacation Rental Condominiums is the perfect location in Eureka Springs. These vacation rental condos are individually owned and provide remodeled and upgraded accommodations. The common areas include a large outdoor deck overlooking Main Street and a gazebo that provides a perfect place to relax on a rainy day. 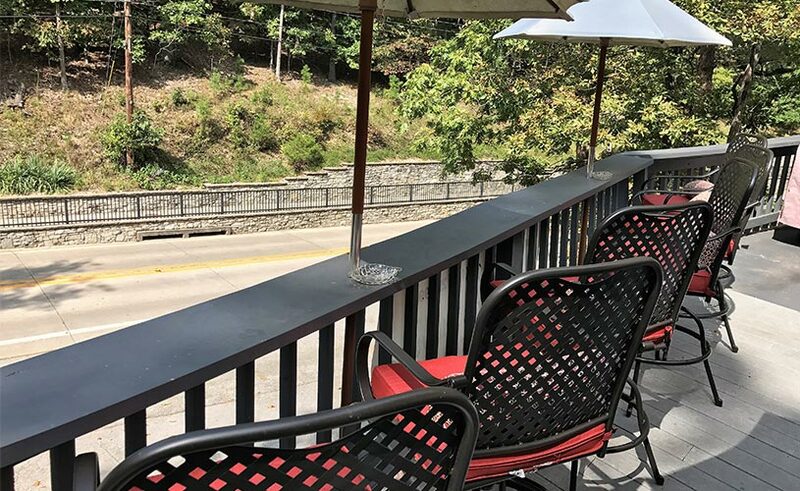 The deck provides our guests with an excellent vantage point to view the coming and going of classic cars, exotic motorcycles, and even the occasional parade float making it’s way downtown. 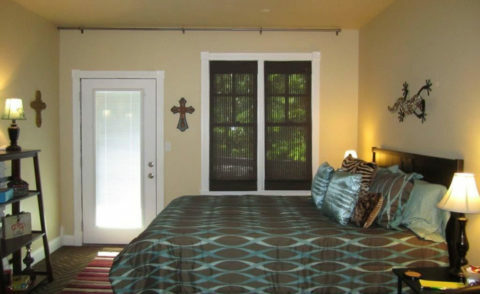 Bella Paradiso is located 300 yards from the south edge of Historic Downtown Eureka Springs. There is a beautiful limestone sidewalk leading to downtown and a trolley stop out front. Directly across the street you will find Pepe’s Tacos at Casa Colina which is an excellent restaurant with massive outdoor decks. The Pied Piper & Cat House Restaurant/Bar is the best place in town for casual "dance on the bar" fun and is the first business you come to when walking to downtown. It is a great stop for live music in the evenings. 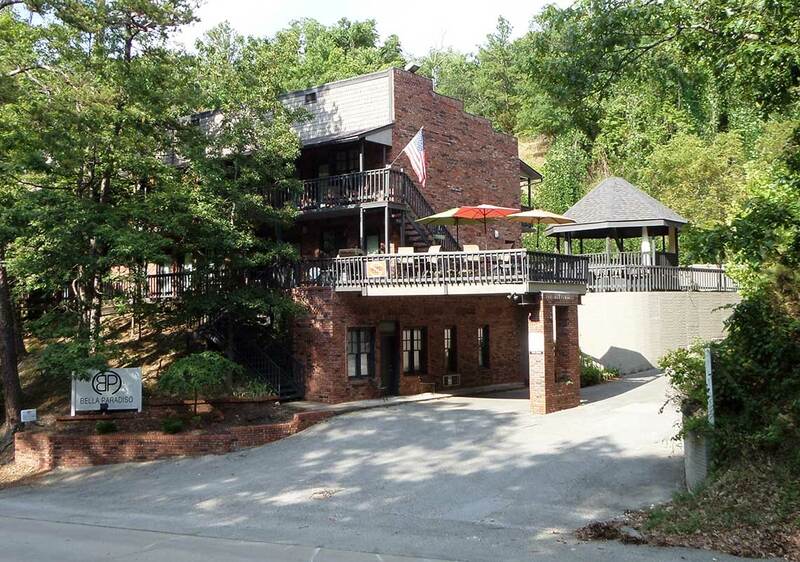 The Stone House wine bar also provides live entertainment and is a quiet and romantic place to spend your evening. Two other fantastic restaurants a just a bit further down down the sidewalk… They are Aquarius Taqueria, and Local Flavor restaurant. 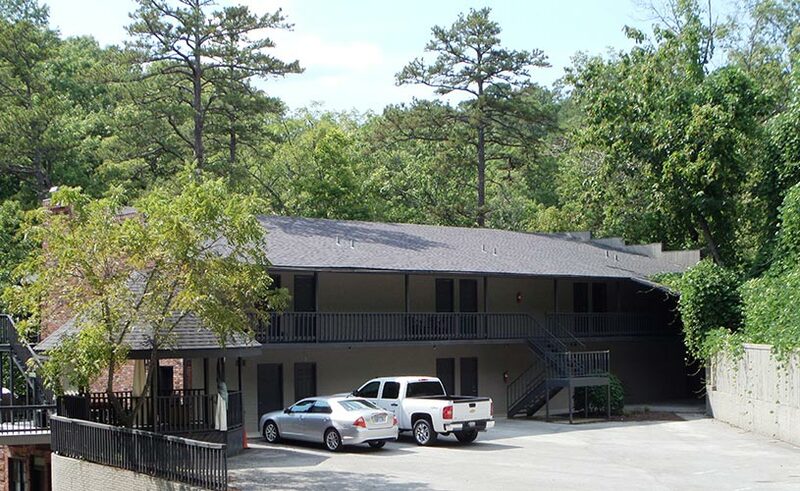 If you are a foodie, a connoisseur of fine wine, or looking for fun evening atmosphere – there is no better place to spend your Eureka Springs Vacation than at Bella Paradiso Vacation Rental Condominiums. 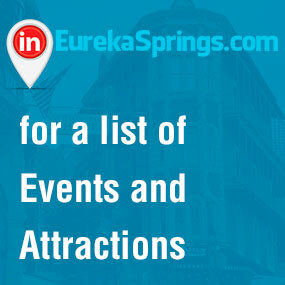 We provide the perfect location and value in Eureka Springs. You will appreciate the Zen feeling our vacation lodging provides at the end of each day. Relax at Bella Paradiso! 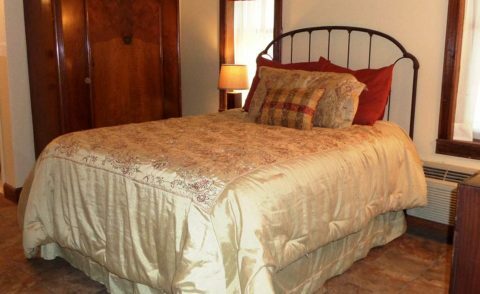 This is a two room suite, located steps from downtown. The room includes a plush queen bed, contemporary living area with a queen size sofa sleeper, kitchenette area, bar height breakfast table, Large LCD TV with DVD, and movie library. GROUND FLOOR. 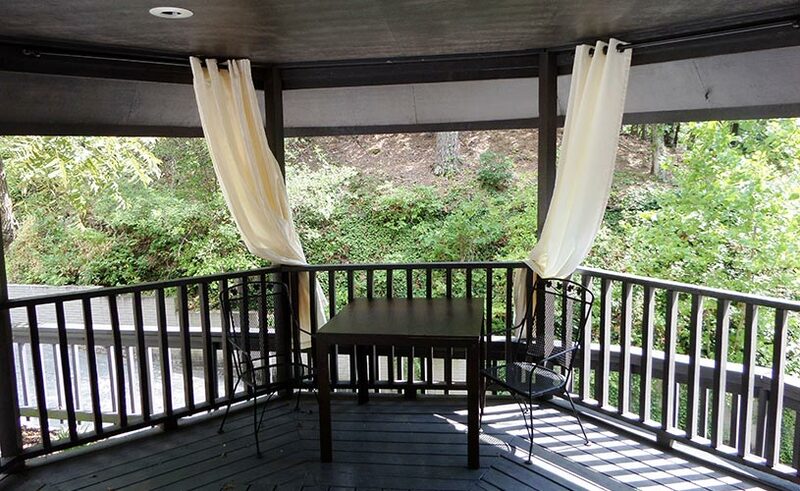 Relax on the front balcony and enjoy your morning cup of coffee or glass of wine at the end of the day. Common area includes a large deck overlooking Main Street and Gazebo sitting area. 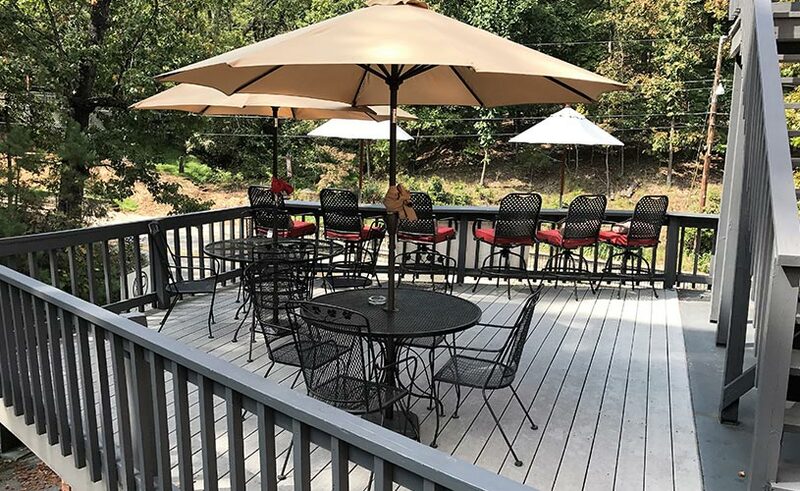 The deck is furnished with tables, umbrellas, and chairs; and the gazebo to gather with friends. © Copyright Bella Paradiso Condominiums. All Rights Reserved.